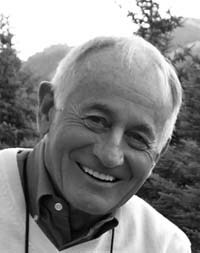 Beloved husband, father and grandfather, John C. Leonardo Jr., suffered a heart attack on Tuesday, Dec. 18, 2012, while skiing on Baldy. John was born on April 1, 1939, in Westbury, Long Island, N.Y. John was a C61 graduate of Columbia College, New York City, and attended Columbia Law School but decided to pursue business instead. His career was in consumer products marketing until the 1980s when he was drawn to the challenges of the high-tech industry, first by owning a computer software company, then starting a consulting business to work with startups like Dell Computer, as well as established industry leaders like Intel. In 1990 he became a partner in a Houston-based company specializing in industrial computer hardware systems until its sale in 2000. John’s passion for skiing started in the early 1980s when the family came to Sun Valley for the holidays and purchased a home in Warm Springs. This began his love affair with Baldy and the beauty of Sun Valley. In 2000 John took up golf, vowing to have a handicap in the single digits, so he became a permanent fixture at The Valley Club in the summer. John’s interests were varied. He loved a good debate with friends, especially with his Words and Wine Book Group. He enjoyed working on community projects where he felt he could make a difference. He had a quick and easy smile that touched so many hearts. On Tuesday morning he was eager to get on the slopes after Monday’s snow. He spent the early morning taking pictures of the Pioneers with the sun reflecting off the mountains before heading up Baldy. He called from Seattle Ridge Lodge to say how breathtakingly beautiful it was on this clear crisp day and that he planned to make a few more runs. Unfortunately, he suffered a heart attack before heading down the mountain he so loved. John is survived by his wife of 37 years, Ann Adamson Leonardo; daughters Casey Marie Leonardo of Mountain View, Calif., and Elizabeth (Beth) Margaret Leonardo and husband Marcus Francesco Carini and grandson Leonardo (Leo) James Carini of Alameda, Calif. He was preceded in death by his beloved son, John Adamson Leonardo; his parents, Margaret and John C. Leonardo; and his sister, Susan Leonardo. According to his wishes, John will be cremated and there will be no public memorial service. The family will have a private gathering for the friends whose life he touched in such a profound way so they and the family can have closure. Memorials may be made to the Community Library, Box 2168, Ketchum, ID 83340,  HYPERLINK "http://www.thecommunitylibrary.org" www.thecommunitylibrary.org; or Swiftsure Ranch Therapeutic Equestrian Center, 114 Calypso Lane, Bellevue, ID 83313,  HYPERLINK "http://www.swiftsureranch.org" www.swiftsureranch.org.